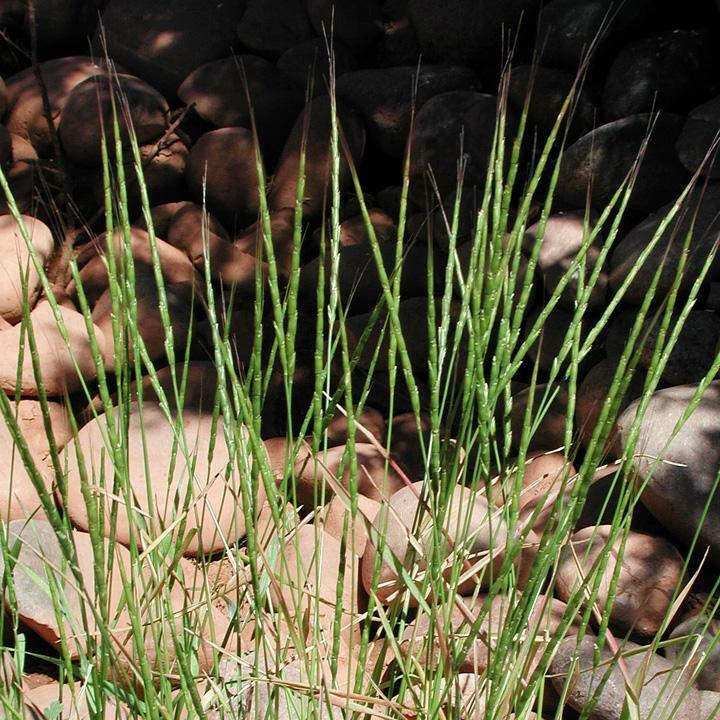 Reasons for concern: This grass is considered a nuisance in landscapes, gardens and fields. It can outcompete more desirable species reducing native plant diversity and important wildlife and pollinator habitat. Sharp barbs can injure pets and humans. Classification: Non-native. Included on the Arizona Noxious Weed List. Botanical description: Erect, late-maturing, spreading grass. Leaves: Flat leaf blades, upto ¼ inch wide, alternate on stem. Sparsely hairy margins near base of blade. Stem(s): Round, hollow stems grow 10 to 20 inches tall, with one to many erect stems. At maturity, stems bend flat to the ground and sections break apart at joints. Spike appears reddish to yellow in May and June. Seeds: Cylindrical spikes 1 to 5 inches long, at top of the stems contain 2 to 12 smaller sections, which are connected together at very visible joints. At maturity spikes turn reddish to purple and then dry to a straw color. Germinate mid-September to early November. Seeds can remain viable in the ground for 5 years. Roots: Shallow, fibrous root system with tillers (or shoots) growing upright off the roots. Native to: Southern Europe and Asia Where it grows: Roadsides, grasslands, waste areas, and pastures at elevations of 5,000 to 7,500 feet. In fields of winter wheat, where it is very serious problem for farmers. Weedy characteristics: Some seeds germinate immediately after they are shed. 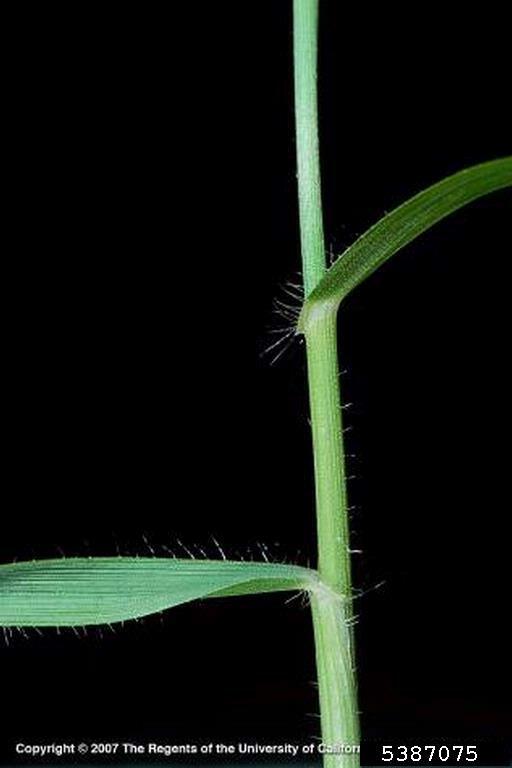 A single plant can produce up to 3,000 seeds. Their persistent thatch can suppress native species. Control strategies: Jointed goatgrass populations in the home landscape are not difficult to eradicate. Prevent plants from going to seed. They are very easy to pull out by hand. Try to get the roots. Be diligent. Use weed barrier cloth or heavy mulch, if appropriate to the site. Frequently monitor previous infestations for new growth. Plant desirable native species to outcompete invasives.